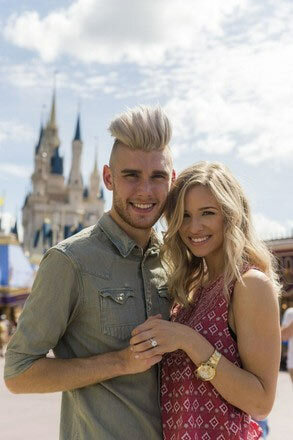 Colton Dixon Gets Engaged At Disney World! 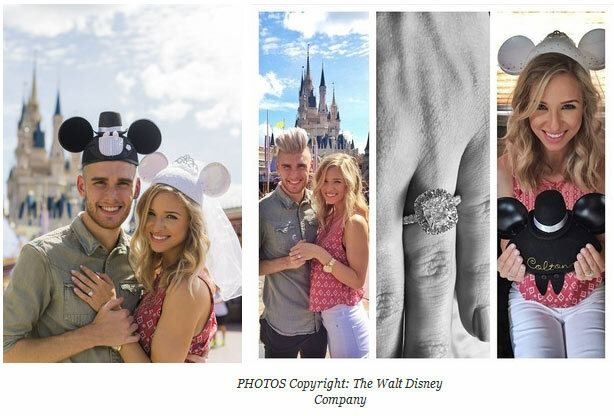 Nashville, Tenn. (September 14, 2015) - Colton Dixon got engaged to his girlfriend Annie Coggeshall last Friday afternoon at Magic Kingdom park, just a few hours before performing at Disney's annual Night of Joy. DisneyParks offical blog was there to cover the engagement, and word traveled fast as PEOPLE, BRIDES, OK!, and more picked up on the news. "I can't believe I'm already at this stage of life. I've seen friends and family make this step, and it's always seemed so far away, but here we are. After mulling over how and where to propose, I could think of no better place than Walt Disney World. I've known that Annie was the one for me for a long time, but God's timing is always perfect. Listening to Him and being intentional in our time together and apart as we grew as people was so important. Thank you to all of my friends and family who cheered me on during this time! There it is guys and gals. I'm getting married!!!!!!!" Friday also marked the release of Dixon's Dual EPs Calm and Storm, which already put Dixon at the top of the iTunes Christian albums chart. Click below to watch the lyric video for "Where I End," a brand new track. Colton Dixon quickly became a household name in 2012 when he made it to the top seven on Season 11 of Fox's hit show American Idol, and his career has been on the fast track ever since. Dixon's 2013 debut, A Messenger, set the record for biggest first-week sales by a new solo Christian act, becoming the No. 1 selling album by a new Christian artist and the No. 9 best-selling album of 2013 in the Christian genre overall. In just a few short years, Dixon has already played live for more than 1 million fans, performing at festivals like Winter Jam and touring with acts such as Third Day, TobyMac and Casting Crowns. Colton Dixon has also been named the latest Steinway artist, following in the footsteps of legendary artists such as Harry Connick, Jr., Diana Krall and Billy Joel. Dixon's sophomore effort ANCHOR, released last fall and includes the most played Hot AC single of 2014, "More Of You," which spent three weeks at No. 1, as well as "Through All of It," his fourth consecutive No. 1 at Hot AC Radio. In 2013, Dixon won a Dove Award for Best Rock/Contemporary Album Of The Year, along with two additional nominations. This year, ANCHOR is nominated for a Dove Award for Rock/Contemporary Album of the Year. Dixon also received back-to-back K-LOVE Fan Award nominations for Male Artist of the Year in 2014 and 2015. Dixon's dual EPs Calm and Storm are available now.